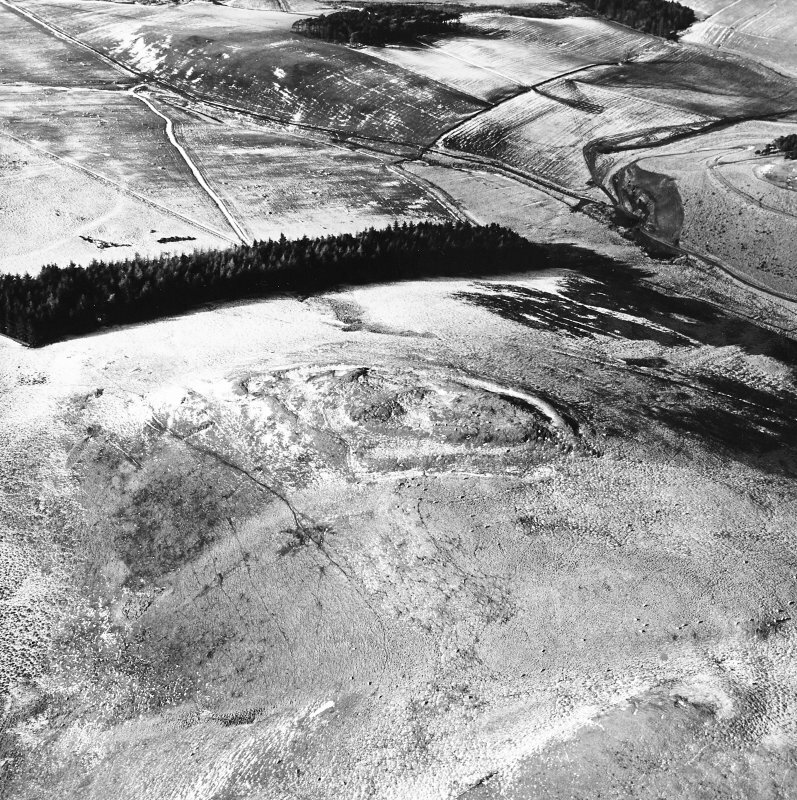 Snaip Hill, oblique aerial view, taken from the NE, centred on the remains of fort, with an enclosure and possible hut circle. 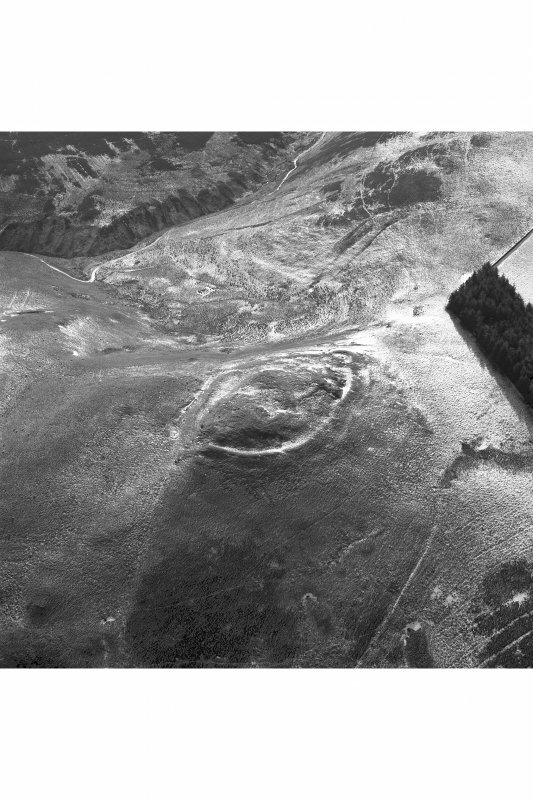 Snaip Hill, oblique aerial view, taken from the W, centred on the remains of fort, enclosure and possible hut circle. 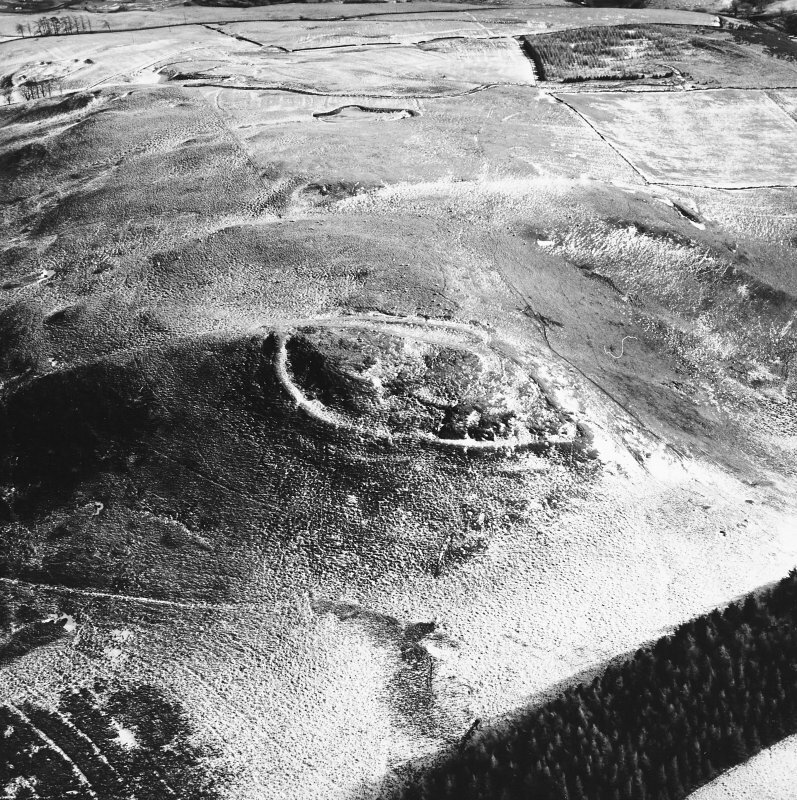 Snaip Hill, oblique aerial view, taken from the N, centred on the remains of fort, with an enclosure and possible hut circle to the left of the photograph. 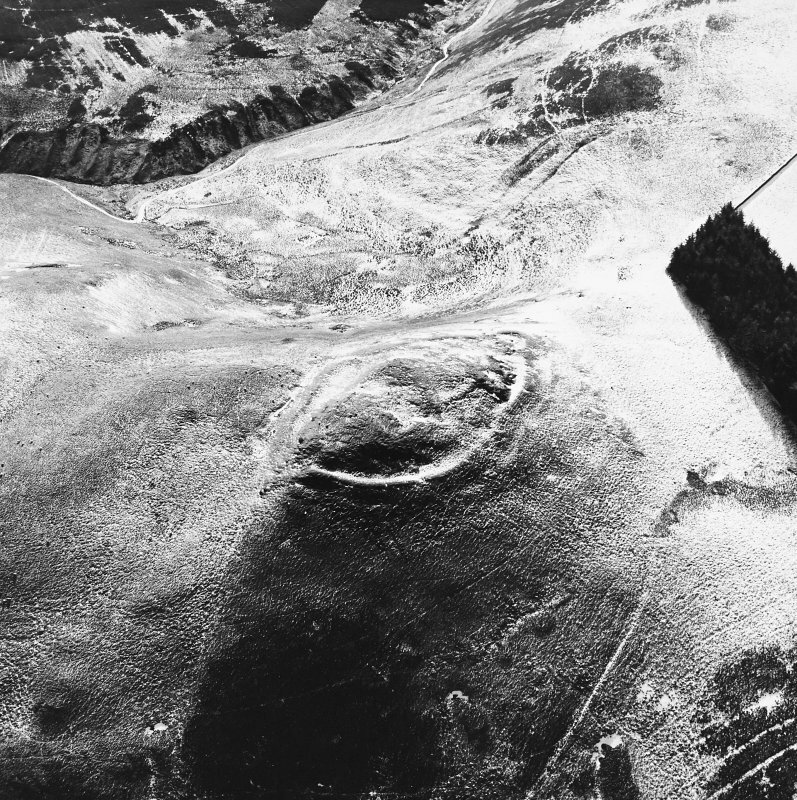 Snaip Hill, oblique aerial view, taken from the S, centred on the remains of fort, with an enclosure and possible hut circle to the right of the photograph. 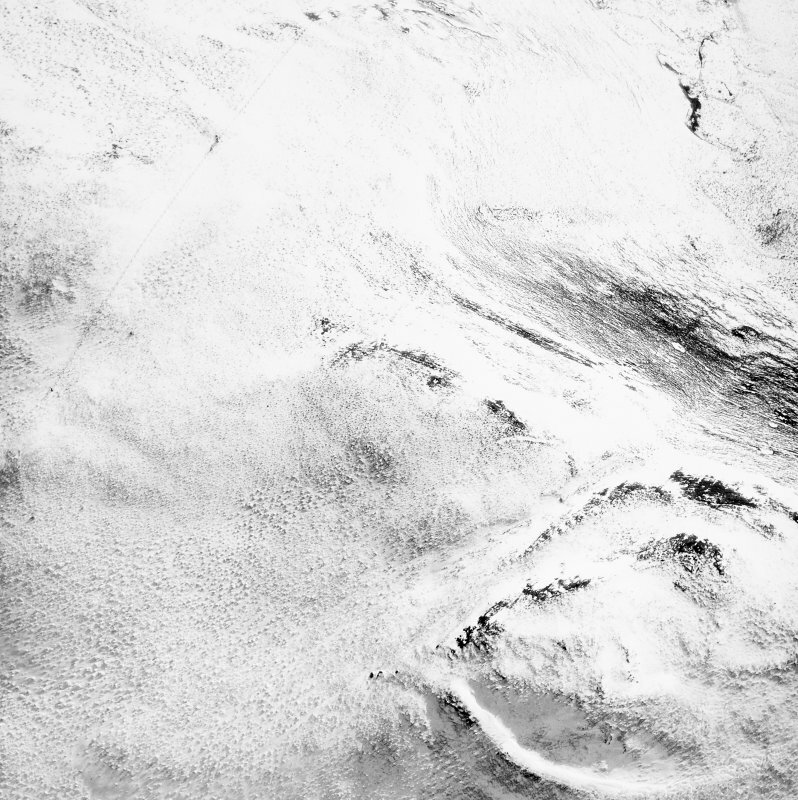 a low thin scatter of rubble some 3m in breadth, but which is represented elsewhere only by a scarp. 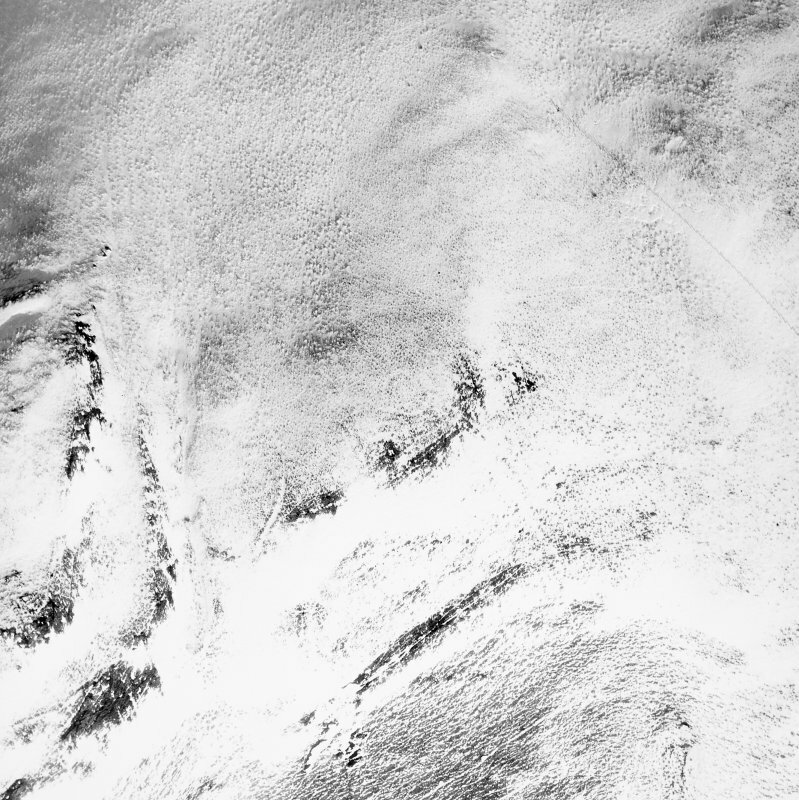 Gaps on the NE and WNW probably indicate the positions of original entrances, but a third gap, on the SSW, appears modern. 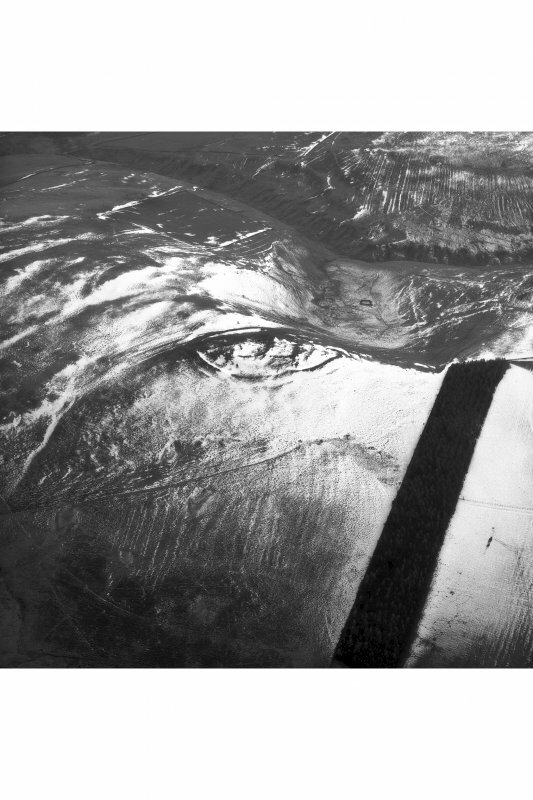 The next line of defence (B), also probably a wall, is even more dilapidated; for a short distance on the SW it is visible as a very low stony bank about 3m thick, but on the S and W it has been reduced to a slight scarp, and on the N it probably followed the crest of a natural rocky slope. It is now impossible to determine which of the several gaps in this wall are original. A third line of defence (C) consists of a much denuded rampart, which can be seen in some places as a low bank and in others as a mere scarp. It is accompanied on the E by an external quarry-ditch about 1.2m deep, and on the N and W by traces of an external terrace (T). On the SE a short stretch of an outer stone revetment survives on the N side of what is certainly an original entrance, and a gap on the SW may indicate the position of another. 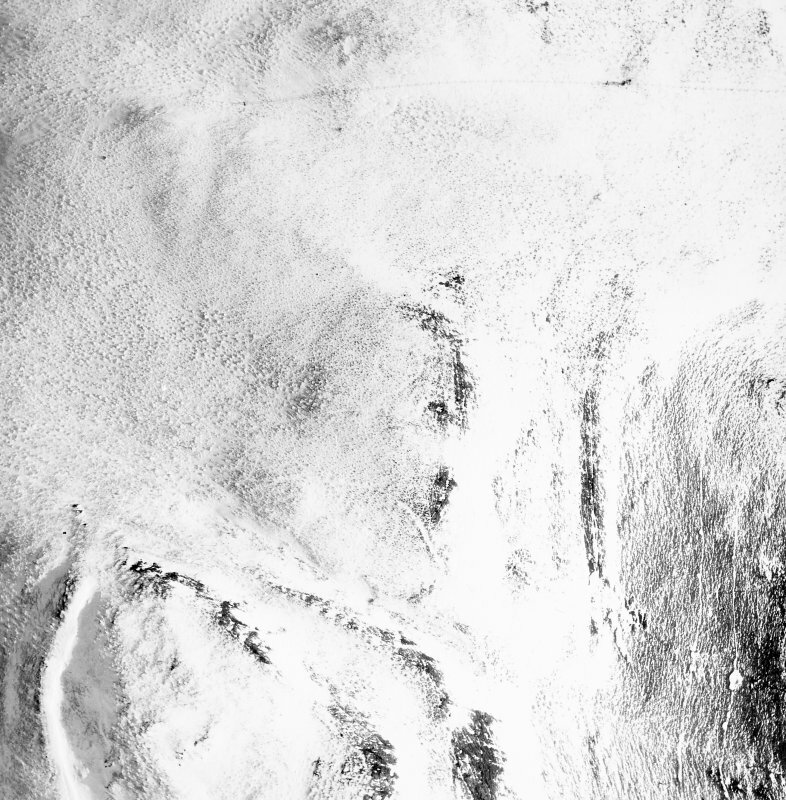 A wide gap on the NE, divided by a natural scarp suggests unfinished work. 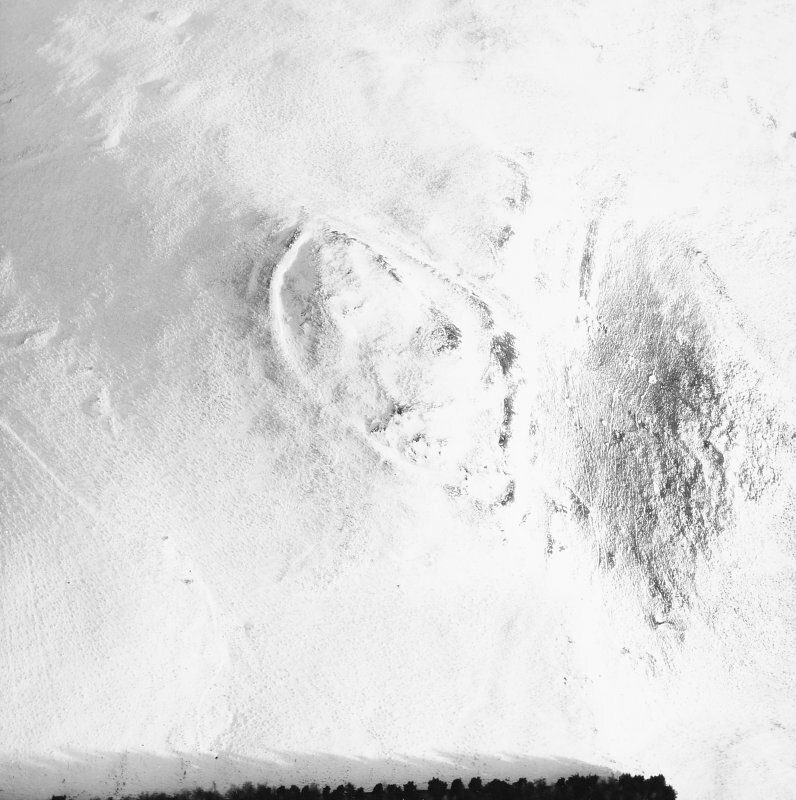 Although it is difficult to interpret such tenuous remains, it is possible that rampart C represents a primary fort, which was superseded before completion by a smaller work defined by walls A and B. (See RCAHMS 1978 plan, fig.64). Generally as described by the RCAHMS. Visited by OS(DWR) 10 July 1972. 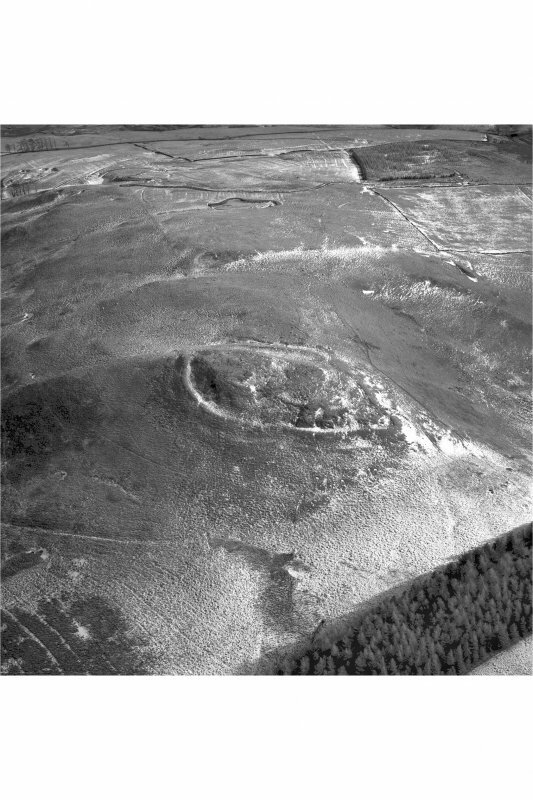 Fort and Cultivation Remains, Snaip Hill: Photographed by the RCAHMS in 1980. 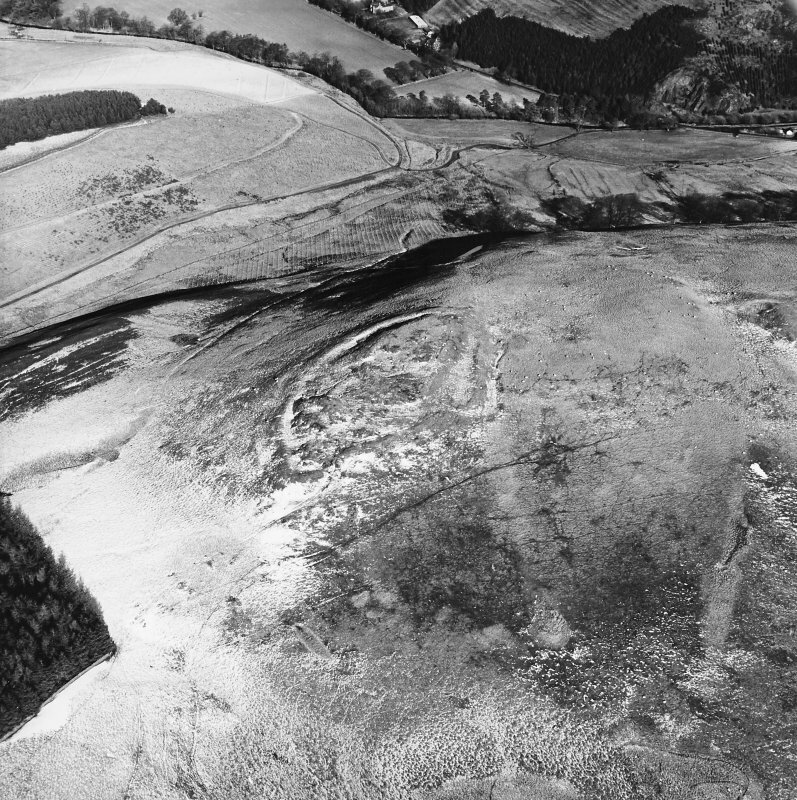 The remains of this fort are situated on the summit of Snaip Hill, dominating the saddle that links to the higher summit of Unthank Hill to the SW, and exploiting a shallow gully on the E that separates the summit from the gentler slopes descending towards the Culter Water. Three lines of defence can be identified, and though these may well represent a series of different periods of construction, there are no stratigraphic relationships to demonstrate the sequence between them. 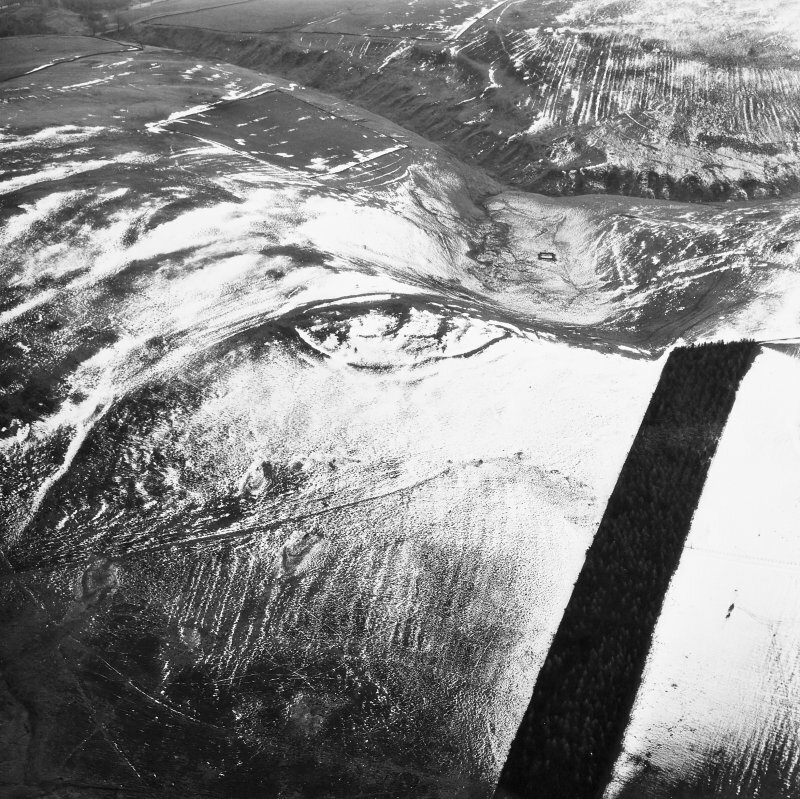 The innermost enclosure occupies the very summit of the hill and measures 58m from NNE to SSW by 27m transversely within a wall reduced to a grass-grown band of rubble; gaps on the NE and WSW may be entrances, but a broader gap on the SSW is more likely to be the result of robbing. 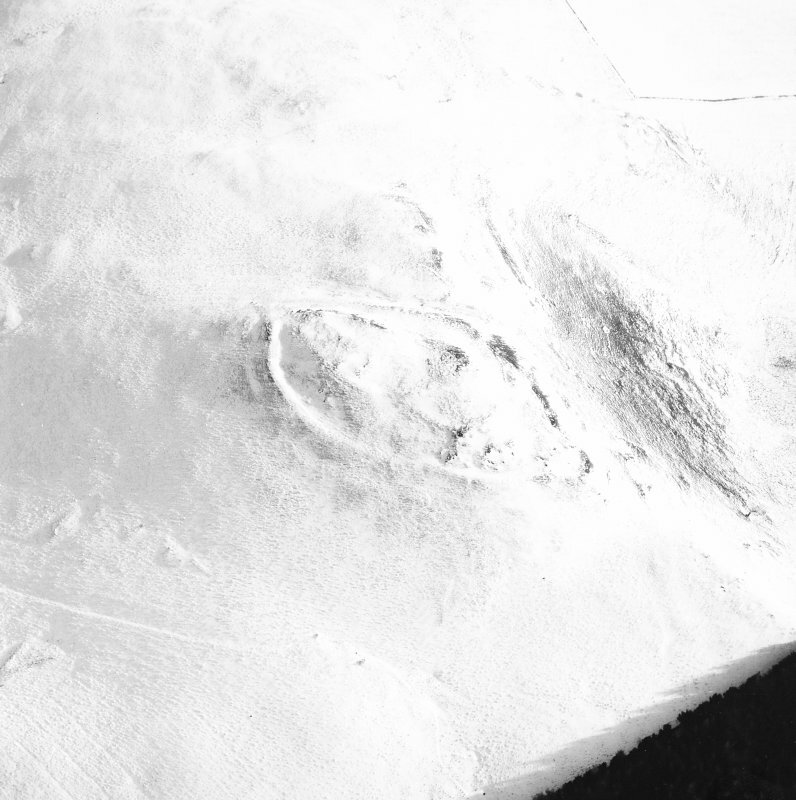 The second line of defence can be seen cutting across the slope descending SSW from the summit towards the saddle, where best preserved forming a low bank of rubble some 3m thick. 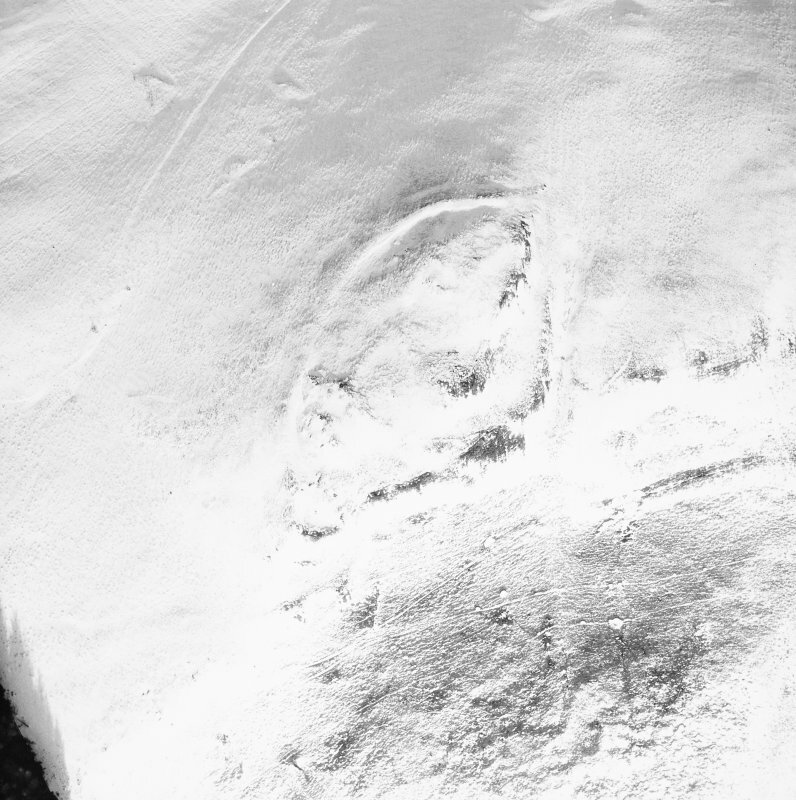 On the S it peters out into a low scarp, and though it may have followed the course of the outermost rampart on the E, little evidence of its line can be seen elsewhere. 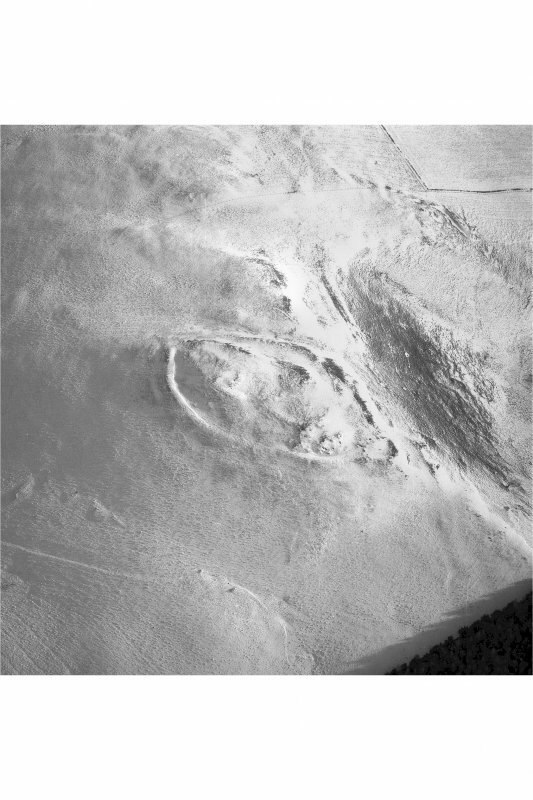 The outermost rampart, however, which encloses a roughly oval area measuring about 125m from NE to SW by 65m transversely (0.6ha), is altogether more substantial, in some places on the N, E and SW forming a bank, and elsewhere a scarp falling into the bottom of an external ditch. 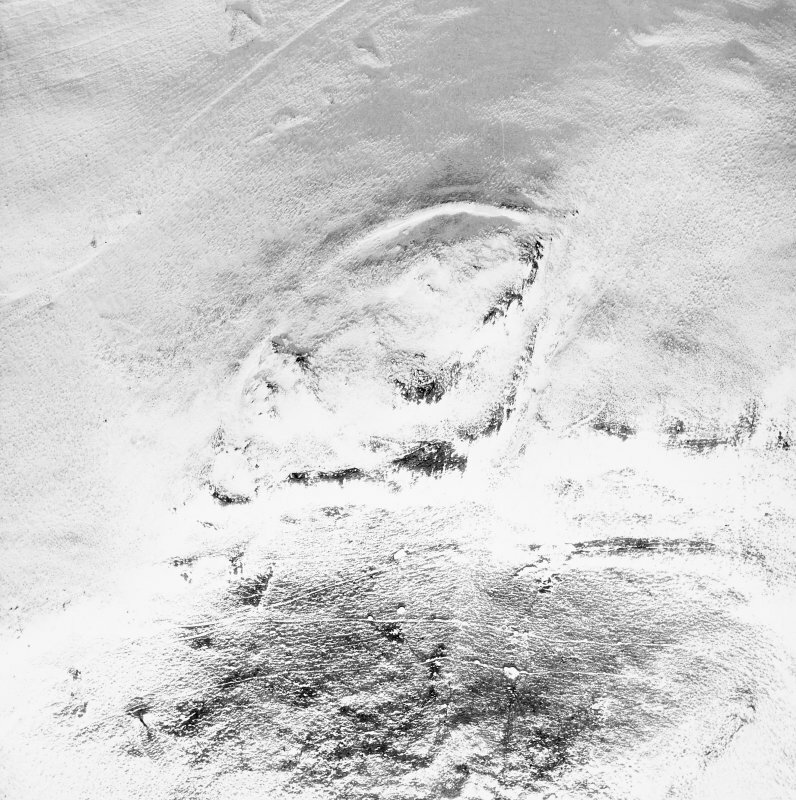 The latter is most prominent in the bottom of the gully on the E, where it is at least 7m in breadth and 1.2m in depth, while on the NW and SW it has been reduced to a terrace on the slope below the rampart; this feature is missing only on the SE. The rampart itself follows a natural terrace round the hilltop, forming the crest of the slope dropping down into the saddle on the SSW. In this way, these defences not only enclose the uppermost slopes of Snaip Hill, but control access along the ridge, so much so that the modern track enters through an original entrance on the SE and exits by another on the SSW; a gap on the NE may indicate a third entrance. The entrances on the SE and SSW are both placed adjacent to an angle in the circuit so that the terminal on one side overlooks the entrance way, but whereas at the SE entrance this exposes the visitor's right side, at the SSW entrance it is the left side. The only feature visible within the interior is the back of a single platform on the W side of the innermost enclosure on the summit.